Aphids are sometimes also called 'plant lice' or 'greenfly' depending on where in the world you are gardening. They spring, fully formed, ready to eat; no kidding. Aphids are one amazing and interesting bug. They are pretty much all female, and even as they are being formed, they already have more microscopic insect babies inside them. They don't need a man; the live young are all born female, in a really strange reproductive twist. They are all wingless at first, but then triggered by an over population of them, the first winged ones are produced. These winged aphids can fly to the next plant over, continuing their havoc. As they're the same color as their target plant, they can remain hidden in plain sight for quite a while; it's only after the plant starts to show stress that the gardener goes over for a look. Imagine the horror when they realize that the whole plant is completely covered! Other giveaway hints that your plants have aphids is the presence of black sooty mold, which grows on their 'honeydew' and also ants, who farm the aphids for the same sweet nectar. Wasps hovering around the plants will be predating the aphids, but they don't make much of a dent in the population. They will also farm them. Eliminate the aphids and the wasps and ants will go elsewhere. A couple of little soldiers that do take care of the problem are hover flies (sometimes known as syrphid flies), lady bugs, lacewings and many mites. Encourage as many of these as possible to help in your battle against aphids, which not only can drain a plants vigor, but they are also a vector for viruses. Other ways to deal with them is to spray the plant all over with a hard fine spray to wash them off. They're fragile, and usually their mouthparts break off and so they can no longer feed. You can also dust the plant with diatomaceous earth, a very fine powder with sharp edges; this cuts the skin of the aphids, and they dry out. Birds should be welcome in your garden too; they eat a lot of insects, including aphids, especially when feeding their young. 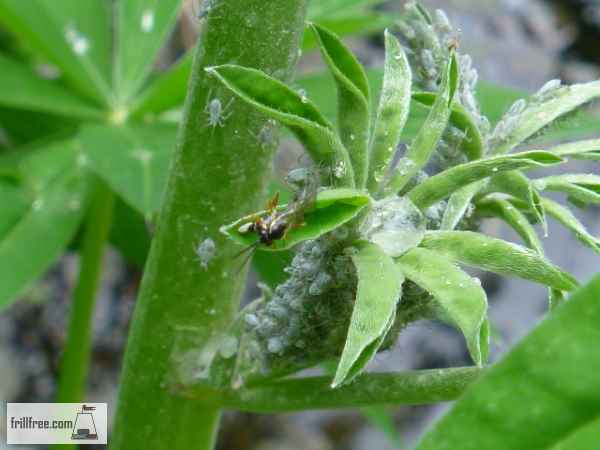 Aphids are manna from heaven for predatory insects. Speaking of little soldiers, don't forget soldier beetles. 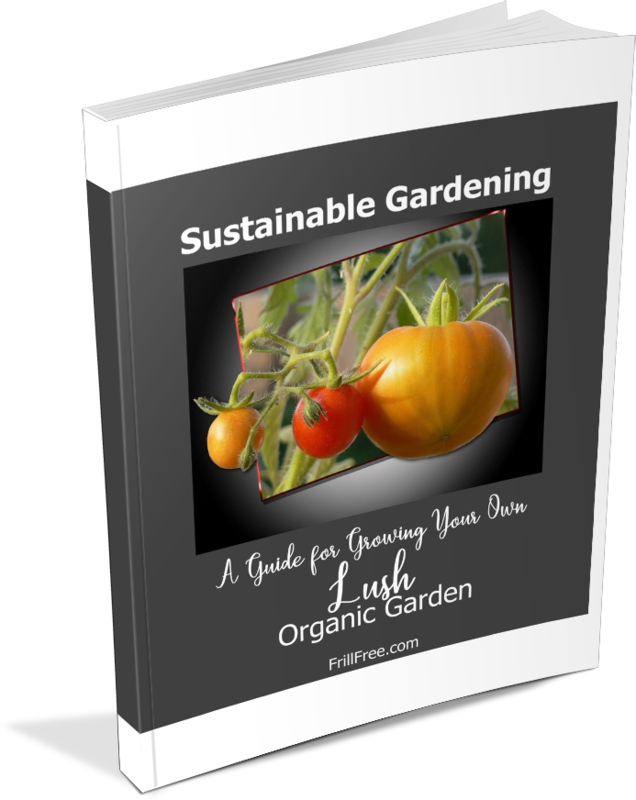 The live and eat soil pests 11 months under coarse mulch as larvae; come out soon after the first aphids; eat aphids; lay eggs in the mulch; and die. Right now, I have aphids on my corn. Not to worry. I just saw a bunch of ladybugs mating and laying eggs on the infested plants. They should clean them up shortly.